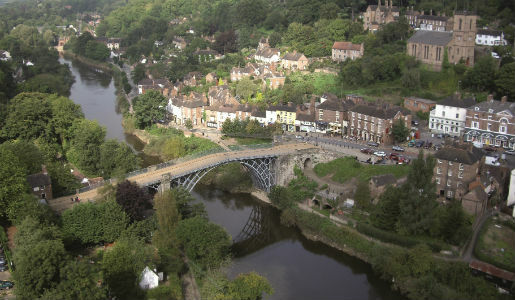 Telford & Wrekin Council is set to invest an extra £270,000 for additional works to upgrade areas of Ironbridge. The move comes after the council listened to concerns from residents and businesses during the ongoing footway paving scheme. That £400,000 scheme funded by the Local Sustainable Transport Fund has seen the old Yorkstone on The Wharfage, High Street and Tontine Hill removed and replaced with local clay block paving. The Yorkstone is going to be sold on for re-use and any additional investment secured over the project total from the sale will be re-invested back into The Gorge. The Council is currently expecting a £90,000 surplus as a result of the stone being sold and due to efficiencies delivered on the project. In addition, the Council has agreed to invest an additional £180,000 from the Highways Capital Programme to support these extra works. The Council has listened to feedback from residents, businesses, the local ward member and The Gorge Parish Council to collate a list of additional issues that require investment. The Council has also listened to concerns from residents and businesses and agreed to resurface the road surface on The Wharfage. This work to resurface the road will be carried out in January next year to minimise disruption to residents and businesses. Councillor Angela McClements, Telford & Wrekin Counci’s cabinet member for Communities, Regeneration and Transport, said: “These additional improvements will significantly enhance The Wharfage area. “The new footways have already been positively received by residents, businesses and visitors to the Gorge. “The main works to the footways are still on track to finish by May 29. However, delivery of these additional proposed works will mean an extension of the project so all footway works will be completed by the end of June. “The additional improvements to bollards and bins will be completed by 22 July in time for the school holidays. “The nature of the additional works means that impact on traffic will be minimal as the majority of works can be completed without the requirement for traffic management. “However, I would like to thank all residents, businesses and visitors for their patience this year while we have been carrying out the footway paving scheme.